I come from a very musically-inclined family, however, the maker left me out of that equation, which I’ve come to terms with. Besides, being an enthusiast of this cultural medium is more my speed anyways. There are days where I enjoy nothing more than to power up my stereo, throw on the headphones and lose myself to the sweet melodies of some good music. The one thing that can send all of that to a screeching halt is to expect something amazing, only to get something awful in return. 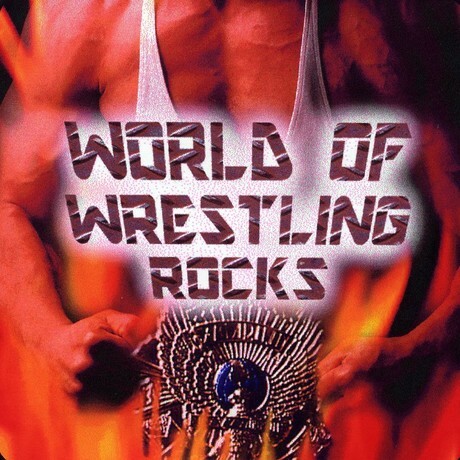 Growing up, wrestling entrance music was a particular favorite of mine whether I was jamming out to “Real American” or imagining wearing spiked shoulder pads when the words “Oh, What a Rush” opened a particular number. 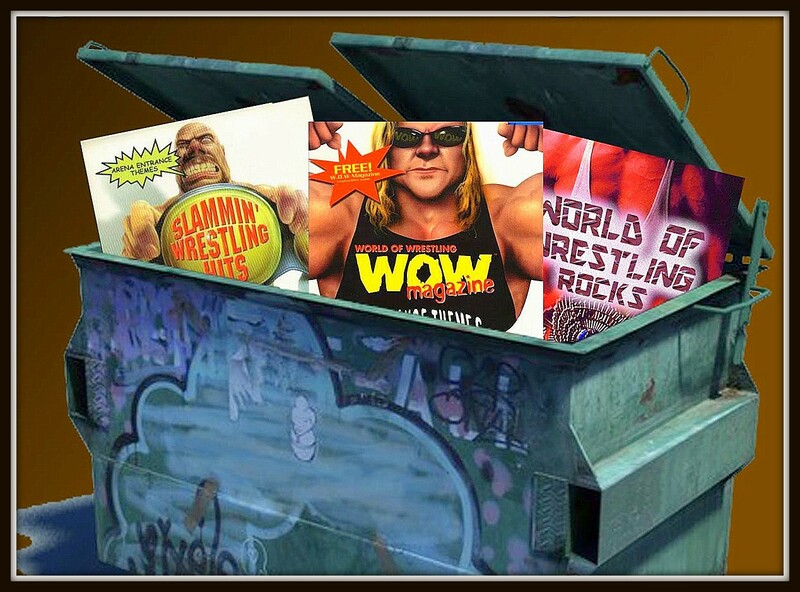 WWE began to corner this market in November of 1998 with the release of WWF the Music Vol. 3. While only the most popular entrance themes made the cut, I was a junkie, and I wanted them all. Enter Scimitar Entertainment’s “Slammin’ Wrestling Hits” released in January of 1999. I saw this gem at a Strawberries Music & Video store and it had most of the songs that were on the aforementioned WWF release with four big exceptions. WCW’s themes of Ric Flair, Lex Luger, Bill Goldberg, and one of my all-time favorites, the nWo theme. I was happier than a kid on Christmas, ran home as fast as I could, popped in the CD, sat back, relaxed and got ready for the unadulterated bliss of wrestling theme music. I furiously scanned all fifteen tracks, over and over again, hoping that this was all some cruel joke and that the real songs would come on at any moment. Sadly, they never came to pass. The original WrestleMania video game for Nintendo belted out better music than these soul-less mock ups. I had learned my lesson and I would never make this mistake again. 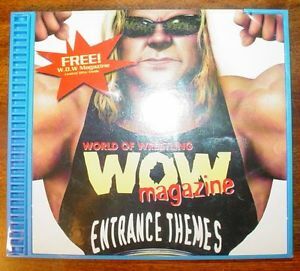 That is, until I purchased “World of Wrestling – Wow Magazine Entrance Themes” a year later. I thought there was no way these could be fake wrestling themes. After all, it was released by World of Wrestling which was a glossy full color wrestling magazine that was the first to be marketed towards internet wrestling fans as opposed to covering the business as a shoot like Pro Wrestling Illustrated does. Guess what? I was dead wrong. There was no genuine music, just an audible plague of generic reproductions. I felt bamboozled and it cost WOW Magazine a loyal customer. Most people would have learned their lesson after these two experiences. Clearly, I’m not most people. 1998 – 2001, otherwise known as the Attitude Era, was the most popular and profitable period in modern professional wrestling. Everyone wanted in on the action, including the hacks that made these musical atrocities. Today, WWE releases all of their entrance music on iTunes along with past albums and WCW themes as well. Purchasing these albums was equivalent to believing that Lucy wouldn’t pull the football away before Charlie Brown could kick it. Oh boy, what a blockhead. This blog was inspired by a video of the same subject that was produced by Brian Zane, which can be found on his popular YouTube channel, Wrestling With Wregret. ‹ WrestleMania 32 = WWE’s Largest Crowd Ever Already?